IPMS have negotiated special rates for members attending Scale ModelWorld at three nearby hotels. 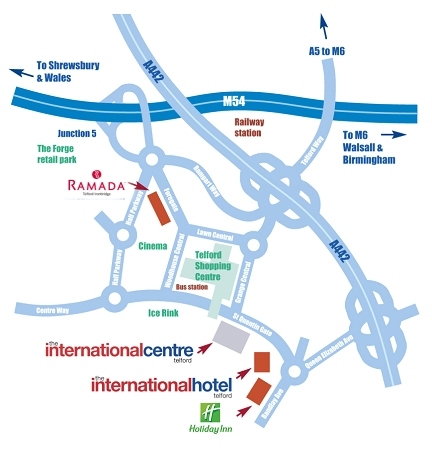 There are two hotels on site, the Holiday Inn and the International Hotel, while the Ramada Hotel is close by. You should book direct by email to Matt Davis of the Reservations Team or phone (01952) 527313 or fax (01952) 527309. For information on other places to stay in the area please visit Shropshire Tourism & Leisure Guide.